My name is Jay Skaar, and have grown up on a farm near Hayward, Minnesota, where we raise Holstein steers, corn, soybeans, and hay. Through my years, my passion for agriculture and desire to be a leader continued to strengthen through my involvement in FFA and Boy Scouts. I partake in multiple activities here at SDSU such as being on the rock-climbing club and hunting. While working 2 jobs at a local taxidermist and a Student Manager at our Student Union, you can find me on a motorcycle on warm days. I look forward to the upcoming 2019 calendar year as Noble Ruler as we continue to progress forward as an organization and continue to make better men! 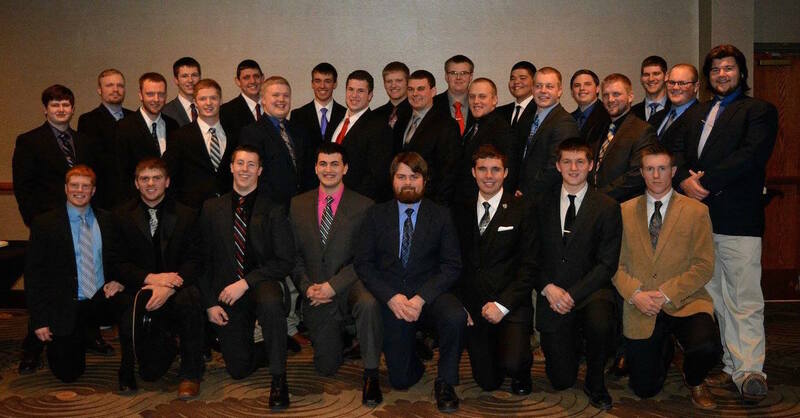 Spring Update: With 48 brothers in the fraternity and our house mother, Donna Robinson, we are looking forward to a semester with a variety of events ranging from on-campus activities such as recruitment, to off-campus events like the annual AGR Pancake Feed event that we host along with Sigma Alpha. 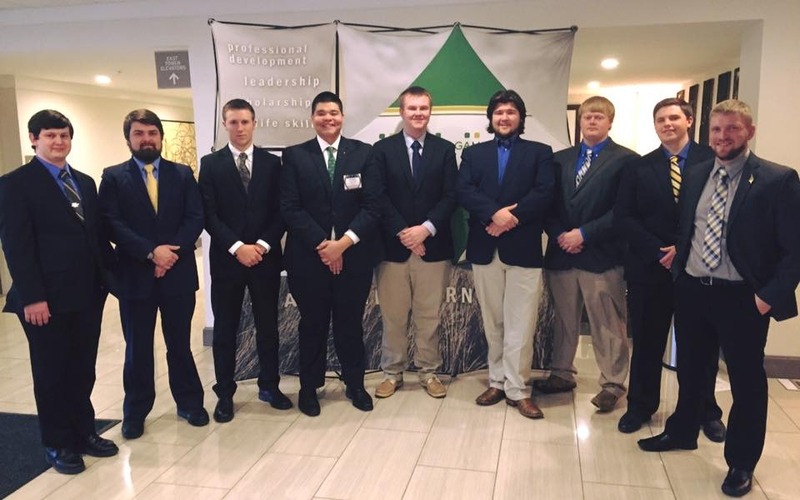 This year, we are excited to have planned an aggressive recruitment season and look to grow the chapter with knowledgeable, passionate young men who look to make a difference in the agricultural industry. Some things within the chapter that we plan to improve throughout this next semester include getting involved more with IFC, further involvement on campus, and hopefully place AGR representatives on the Students Association. 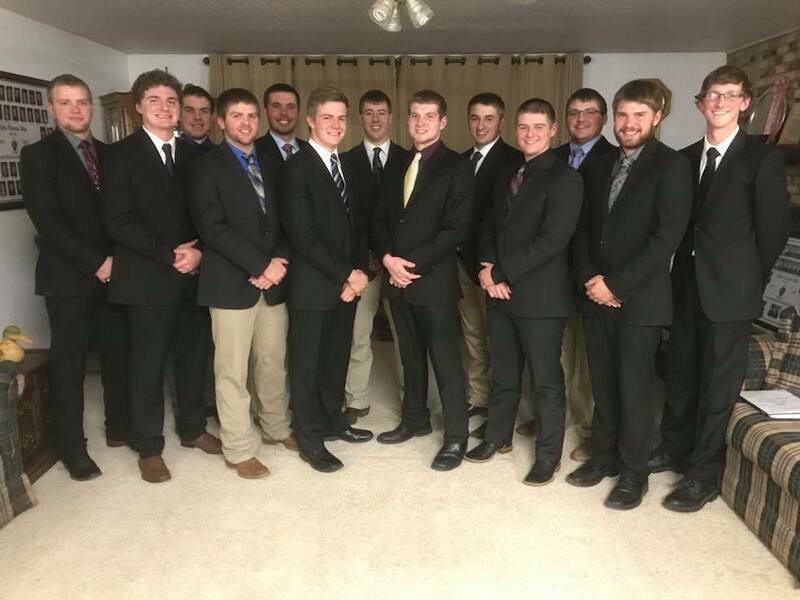 While this semester will continue to stay busy for the entire chapter, the brothers and I are excited to take our skills to enhance our chapter involvement and increase our outreach throughout the community of Brookings. Congratulations to our newly elected executive officers for 2018! The Sigma Alpha and Alpha Gamma Rho chapters of South Dakota State University served breakfast at the Old Sanctuary on Sunday, March 19th to raise money for a worthy cause and give back to the Brookings community. 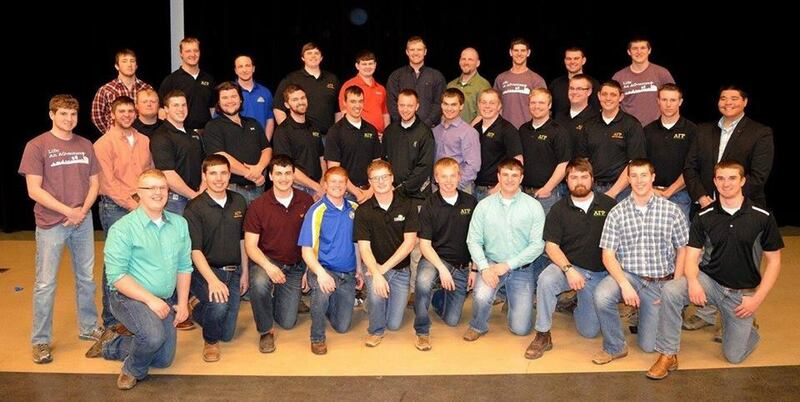 The members of the professional agricultural sorority and fraternity teamed up to host their first pancake feed. At $5 a plate pancakes, sausage, eggs and beverages were served. Proceeds went to support the South Dakota State FFA Foundation, Blue Jackets Bright Future. This organization provides FFA jackets to youth that can’t afford to buy their own. According to the National FFA website, the corduroy jacket is an article of faith, honor and pride. The symbolic essence of the jacket, along with the pancakes, helped to make the event a success. From 9 a.m. to 1 p.m. the members that volunteered served 175 community members and raised around $1250 dollars, which will sponsor 16 jackets. 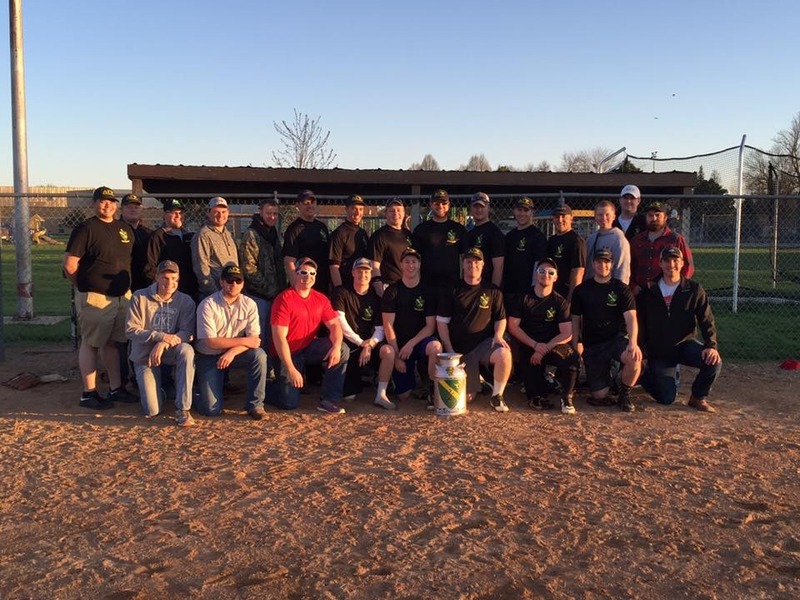 Not only were the members pleased to support FFA, they were happy to give back to the community. Philanthropy and service are both important aspects of Sigma Alpha and Alpha Gamma Rho and giving back to the Brookings community by being able to put on an event and serve them gives the members more public outreach. Thank-you to all that attended and made the event a success! 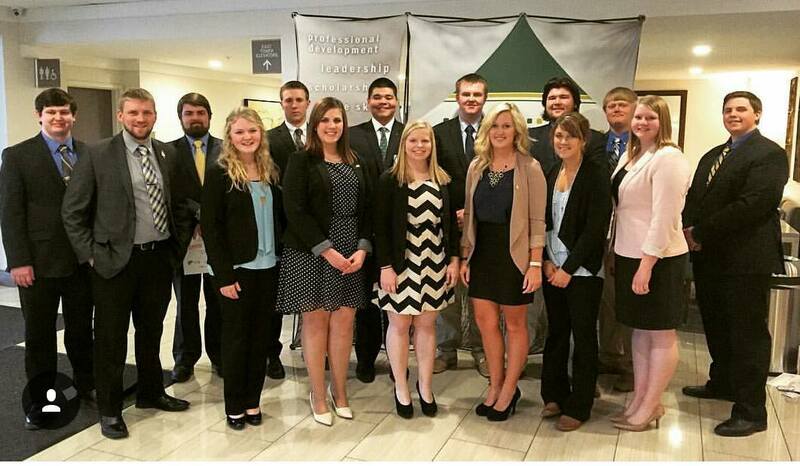 Brothers Fliehe, Groos and Bregel to attend the 64th AGR National Convention in Omaha, Nebraska with Faculty Adviser, brother Brad Blaha. 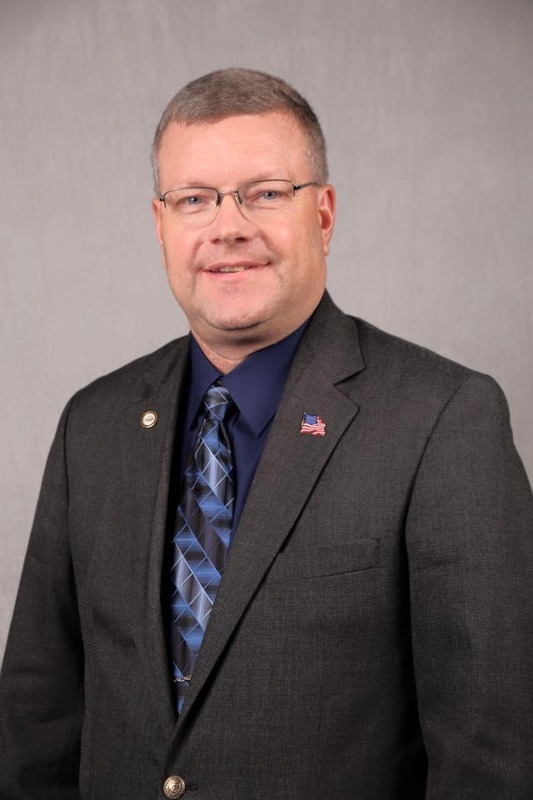 We have been very fortunate these last 2 years to have one of our own, brother Cal Willemssen serve on our Fraternity's National Board of Directors as Grand President. 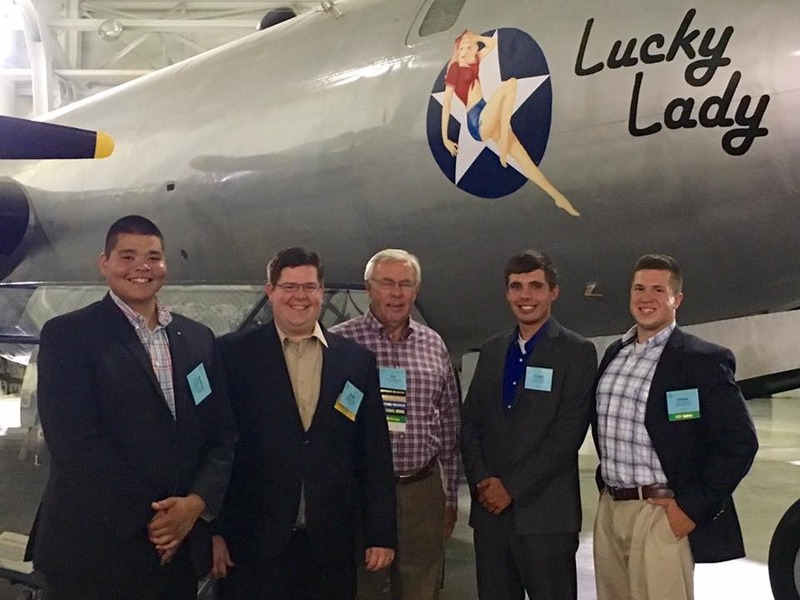 The men attended attended a dinner at the Strategic Air Command and Aerospace museum. Fun fact: Brother Willemssen insisted on taking a picture in front of the "Lucky Lady" because his father flew this type of plane during World War 2. We thank brother Willemssen for his dedicated service to not only the Alpha Phi chapter, but to Alpha Gamma Rho on the national level, we wish him nothing but the best as his term as Grand President comes to an end. 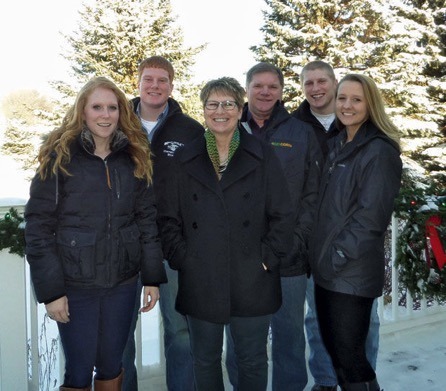 Congratulations to brother Adam Krause ,#1018, and his family for being honored with the South Dakota Pork Producers 2015 Family of the Year Award. 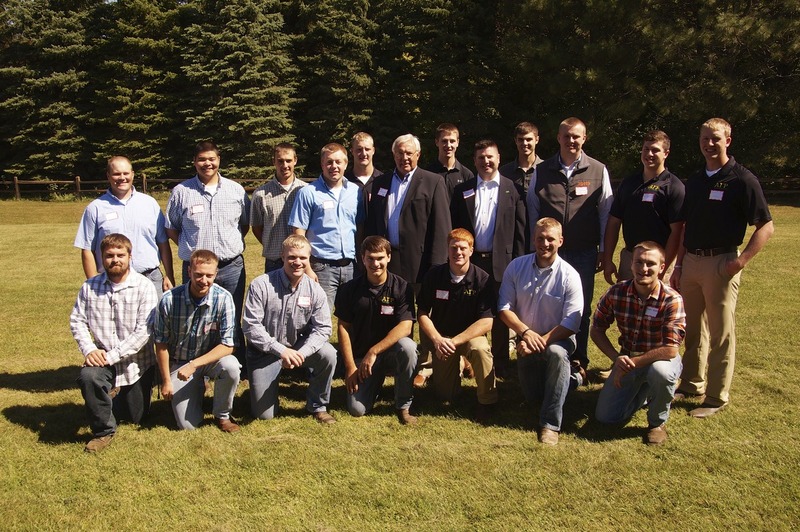 The Krause family of Clear Lake is along time contributor to the pork industry. From left are Tiffany, Adam, Jolene, Laron and Brent and Lyndy Krause. The weekend was filled with great speakers, conversation, and brotherhood. Along with all of that we were able to see new legislation passed on the national level to help benefit all the chapters of Alpha Gamma Rho. 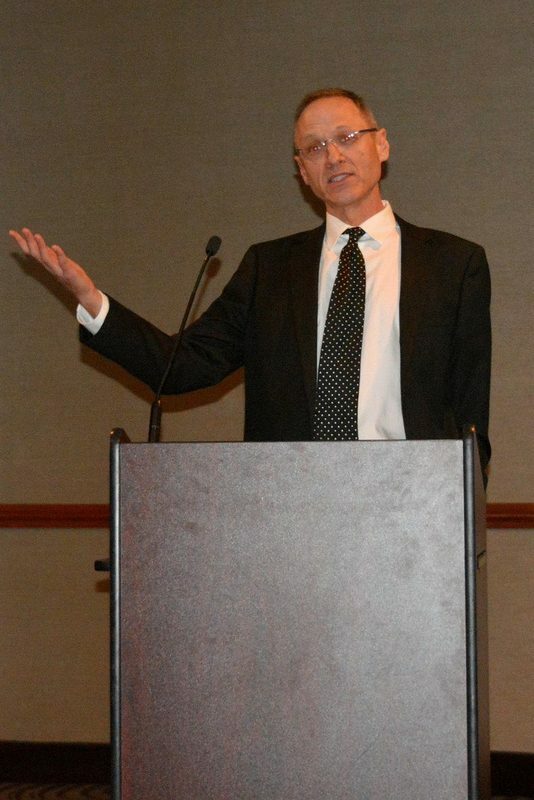 Brother Peterson was a co-chairman of the Statues and Constitution committee and was able to present all the new legislation to the floor of the business meetings. We were also fortunate enough to catch a AAA baseball game while we were there as the Indianapolis Indians took on the Toledo Mud Hens and after the game was over we were able to get a tour of the field and facilities by the head grounds keeper. 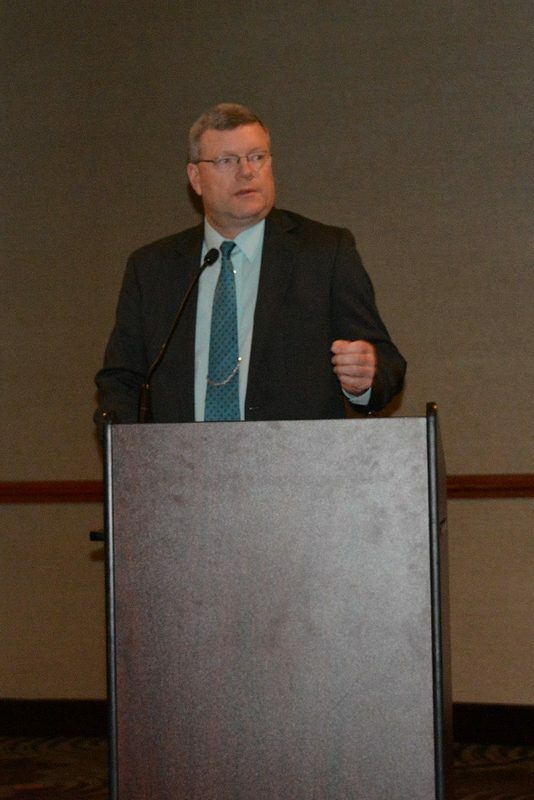 After all this had happened the most exciting part of the convention was yet to come as on Sunday night we were able to see Cal Willemssen, alumnus of the Alpha Phi Chapter, be elected as Grand President of the National Board. We would like to thank the overwhelming support of our Alumni for financing this trip for us and allowing us to make these great memories in Indianapolis.